Ed’s note: I am terribly, terribly sorry for the delay of this inspiration board. I have been very sick the last week and while this was meant to be posted on the weekend, I could not get out of bed to create it. So we’re doing something a little different this month. 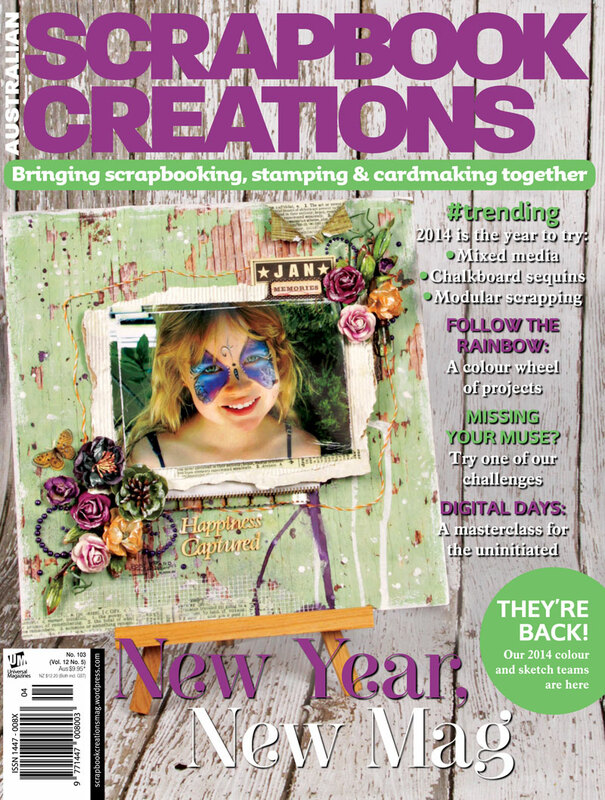 Full Credits: Jill Wheeler of Scrap FX created the sketch for SC104, Ellen Harvey took the photograph in Hastings UK. This month’s sponsor is A Piece of Cake Designs. They have offered up the cupcake kit (see below) for ONE lucky participant. This challenge is open until the end of the month (11:59pm, 31 March 2014, Australian Eastern Standard Time–not Daylight Savings time). Inspiration this month comes from our AMAZING sketch team (and you’ll be able to see their layouts up-close-and-personal in the April issue of our mag). Layouts (l-r): Rachael Funnell, Natalie May, Anne Patterson, Leonie Neal-Dawson. Sketch Teams LO’s look AWESOME! can’t wait till April issue! Love the sketch & the examples! Here’s my take on this months challenge. Loved the colours!